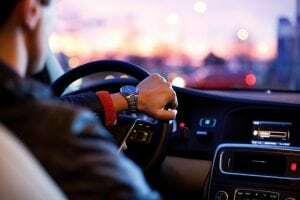 Elmont, NY (March 23, 2019) – On the morning of Saturday, March 23rd, a worker at a car wash was struck and killed by a vehicle in a fatal pedestrian accident. The driver had allegedly come to the Empire Car Wash on the Hempstead Turnpike at 8:05 a.m. to clean his vehicle. The driver came to the back entrance when he suddenly sped up for reasons that are not known. This caused him to strike the employee and pin him against the wall. The pedestrian was identified as 53-year-old Eduardo Sosa, who was taken to the hospital and pronounced deceased while there. Now, Nassau County Police believe that the accident was just that – an accident. Police continue to investigate the circumstances of the accident at Empire Car Wash.
First and foremost, we would like to offer our deepest and most genuine condolences to the friends and family of Eduardo Sosa, who have suffered immediate losses due to this horrific pedestrian crash. New York pedestrian accidents happen every day, some of which are minor in nature and others that are so serious they lead to fatalities. Pedestrians are vulnerable to serious injuries due to the fact that they are not offered the same protections as others who share our roads. Our accident attorneys at Hach & Rose are here 24/7 in the midst of your pedestrian accident. If you believe that your loved one’s life has been taken too soon due to the recklessness of another party, we will assume the responsibility of being able to show this. Suffering at the hands of a negligent party in a pedestrian accident can be overwhelming, but you have many rights. Please contact us to find out how we can assist you in your time of need at 212-779-0057.